DVD “Selguse hetk” on inspireeriv põimik miniatuuridest, luulest ja muusikast. See on tervendav hingerännak, mis annab jõudu ja aitab häälestuda kõigele heale ja ilusale siin maailmas. 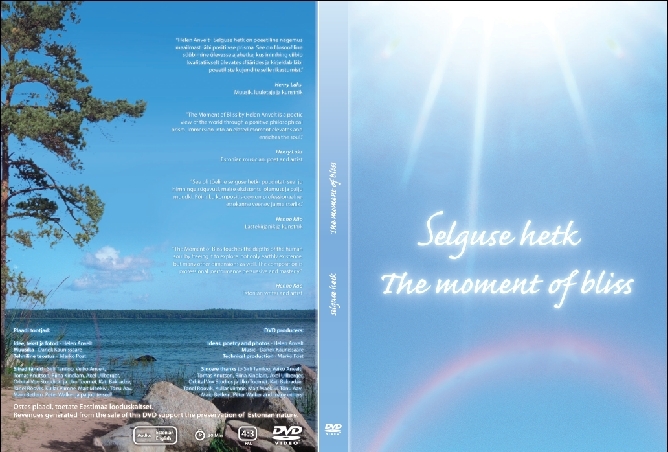 DVD “The moment of bliss”. In this presentation you can read and listen to the poetic reflections by Helen Anvelt, watch her nature photos and listen to the music created by Danek Kaunissaare, which together form an harmonious and inspiring wholeness. It’s possible to choose between English and Estonian. It is a soulś healing journey, which gives strength and helps to focus on all the good things in this world.